Almost two months before her 95th birthday, my grandmother, Irene Sapp Keitt went home to be with the one who loves her most. Many would say, why would you grieve for someone who has lived such an extraordinarily long life, and the answer is for purely selfish reasons. We grieve, because we will no longer get to see them, talk to them, or laugh with them; as well as many other things that we would love to share with them. The saddest thing in this situation is that my grandmother died to us long ago, or should I say, we died to her. She was suffering from Alzheimer's Disease, it has been about seven years since she has been able to distinguish one of us from the other. For some time, she thought my daughter was me, because my daughter does look as I did when I was her age. Those that didn't come around too often, she didn't know at all. Her baby boy, Vincent, who is my father, took care of her everyday for the past seven years. Her oldest son, Nathaniel, took care of her for about ten months, after the sudden death of her daughter Ilee, who was her first live-in caretaker. Vincent was then appointed as legal guardian by the courts, and has taken care of her daily from the moment he retired. His wife, Betty did all of the cooking for them both. In the beginning grandmother knew that Vincent was her son, but I believe later, she only knew him as the familiar face and voice, that cared for her quite diligently. In her last days she would not eat and barely moved at all. Mostly all she did was sleep. We knew that she was tired and ready to go. As hard as it was for my dad he didn't want to see her suffer any more. He told her that he loved her and it was alright if she was ready to go that he would be fine, and in less than 24 hours, she took her last breath. My grandmother not only lived a long life, she lived a full life. She has always worked for herself. One day she told me the story of when she first got married and went to work as a domestic, because that is what Black women did in the early 1930's, and she said that she only lasted three days. She told me that she couldn't do it. Her parents had a large farm in Millen, Georgia, and they were self-sufficient and she would be too. She then became a beautician, starting with the women in her neighborhood and she did this all from home. We use to call them kitchen-ticians. She later earned her license and built her beauty shop onto her house. She probably did hair for about thirty-five years. When I was a little girl, she taught me how to wash the clients hair and grease their scalps. That is how it was all started. Three children and three husbands later, she has owned rooming houses, apartment buildings, an orange grove in Florida, a pecan orchard in Millen, Ga. a gas station on Montgomery Street in Savannah, and a pretty well known cab company. Yes, I worked as the dispatcher with the cab comapany after school. 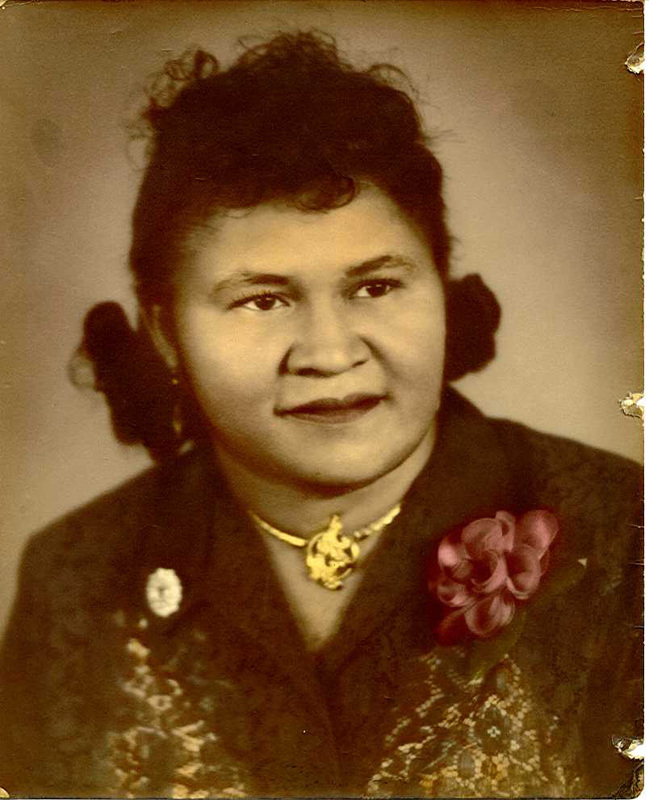 My grandmother was fierce, she even had a gas pump at her home, to fill the many cabs that she leased, to do what she did best, keep down the cost. There was a great deal to be learned from my grandmother. She believed in herself and her ability to take care of herself and accomplished her place in this world. She was a hardworking woman who knew the value and power of money. I can't think of a time where she ever wasted money. She knew how to manage her money, and this from a woman that got her GED after all of her children were grown and married. A GED is not something that she needed because she was self-suffient, but it was something that she wanted to accomplish and again, she did just that. She was amazing in so many ways. She had the trials and tribulations that we all have in life, but like many before her, she didn't let these things dictate who she was and what she was capable of. That alone warrants admiration. Hopefully, her life's lessons have been taken in by her children and grandchildren. I for one, have her entrepreneurial spirit, as well as a few more of her grandchildren. We have watched her through the years, and I believe that she will live on in each and everyone of us that has been blessed to know her. She will be truly missed.